I turned around to chop this tomato the other night, and this is what I saw. I love these lucky moments of light. It helps that you have an awesome, artistic eye. Really pretty. 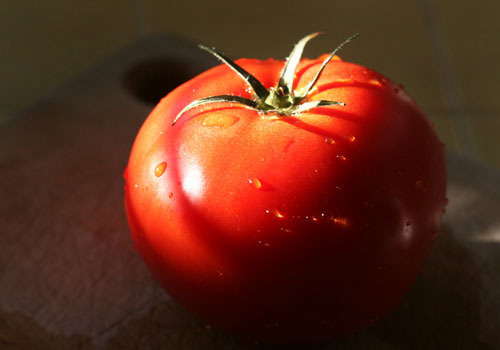 What an absolutely perfect tomato! Love it! Gosh, you take the most beautiful pictures!